Like every year, this Rakhi too, I spent the day with my maternal grandparents, uncles, aunt and cousins. 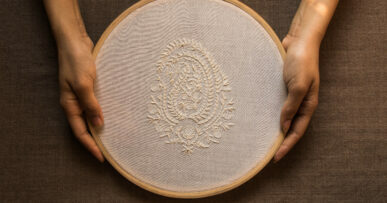 We were all seated lazily in a circle- mogra flowers in the corner of the room, home-made kheer and dried nuts kept in the middle of the circle to munch on. We choose to find comfort in nostalgia every time we all meet. It’s easy to glamorise the past but seldom did we reminisce beyond the 90’s when my generation was born. This time, my grandparents stories took an enrapturing turn- out came old photos and relics from times I only daydream about. 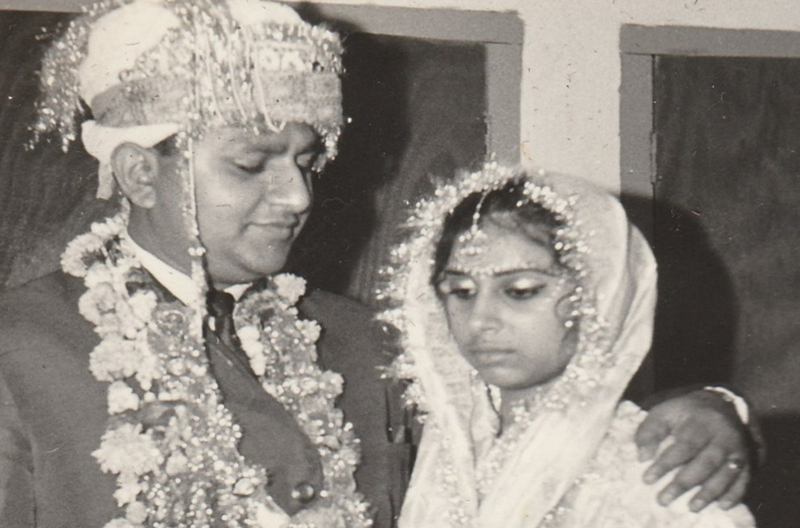 Sanchita’s maternal grandparents on their wedding day in 1965. 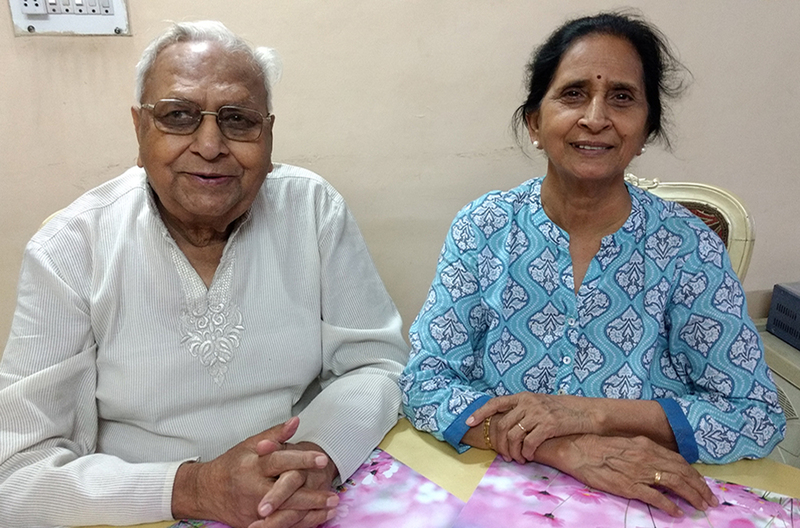 Usha and Gajraj Singh Mahajan, Sanchita’s grandparents. “Did you know your great-great-grandfather travelled with the royal carriage? The lead horse in that carriage was so fussy that it only ate apples which were still on the branch- not the ones which got shaken off and fell on the ground in the dirt”, said Nana ji. I smiled at what I thought to be a fantastical description of what may have happened and brushed it aside as a mythical story passed down by generations of Mahajans. “We still have its shoe from its breaking in”, continued Nana ji. Suddenly, I stopped laughing and tried to absorb what that meant. An old horseshoe was brought out and passed around the room. It was made of solid iron, and I could still see the ridges on the curved edge. Barely rusted, though smoothened by time. 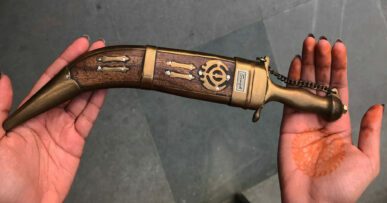 The metal felt cold in my hands while the realisation sank in that I was holding an object which was more than a century old. 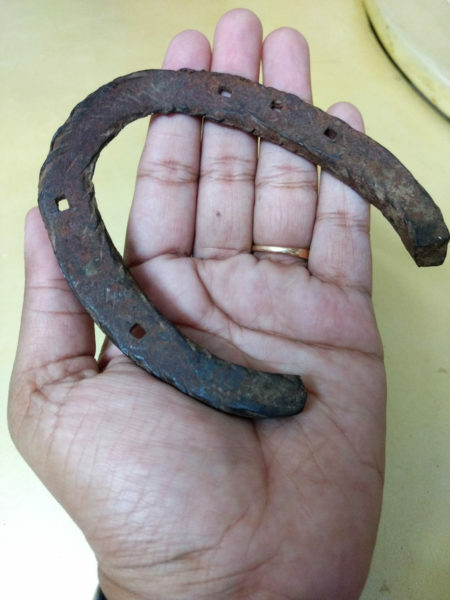 This horseshoe had survived multiple generations of my family, events which changed our destiny and different personalities of my ancestors. 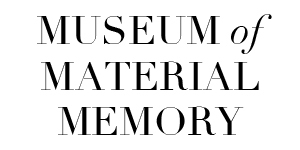 So much history in this tiny object! 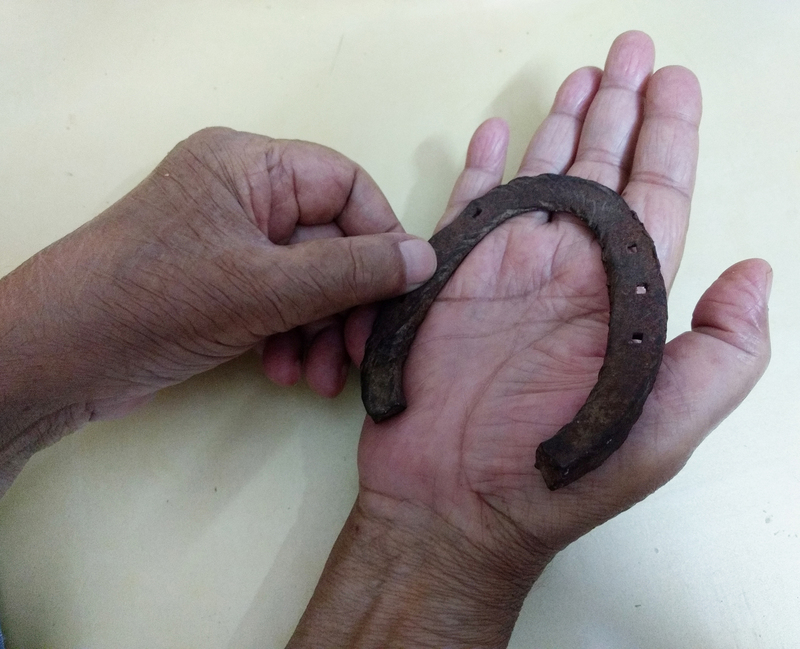 The horseshoe belonging to Sanchita’s maternal grandfather’s family. The story of the horseshoe unraveled a fascinating conversation around my lineage. “Our ancestors have always been distinguished people”, said Nani ma. Hyperbole aside, I believed in her words and the meaning behind them. The oldest ancestor that my grandparents know of could apparently be traced to the court of the Maharaja of Jammu and Kashmir at the time. “Hakim Shah” was described to be eight feet high, weighing over 200 kilograms! He was considered to be a formidable leader of the cavalry at Tis Hazari contingent in Delhi and also given the duty to accost octroi for the king from the Afghanistan border. Hearing tales of how he rode royal horses without the need of reins, or his 300 kg armour transported me to the same space as historical fiction did- maybe they were the same thing? My uncle claims to have found some records at a public library in Delhi with an account of Hakim Shah, but the Shah remains elusive to me and Google so far. However, I did end up learning about the origin of the name Tis Hazari! What most consider to be the courts complex in Delhi, was actually a sprawling ground, where a large Sikh cavalry camped in the 1700’s. Tis Hazar in Hindi would literally mean 30,000 but whether it was named after the 30,000 Sikhs or the 30,000 horses is undecided. 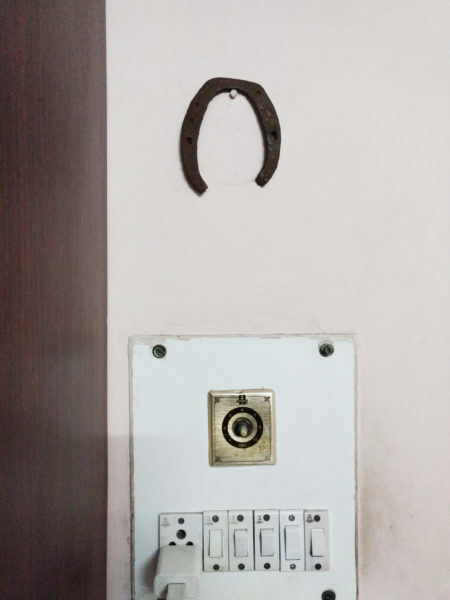 The horseshoe hanging on the wall of the family’s puja room. 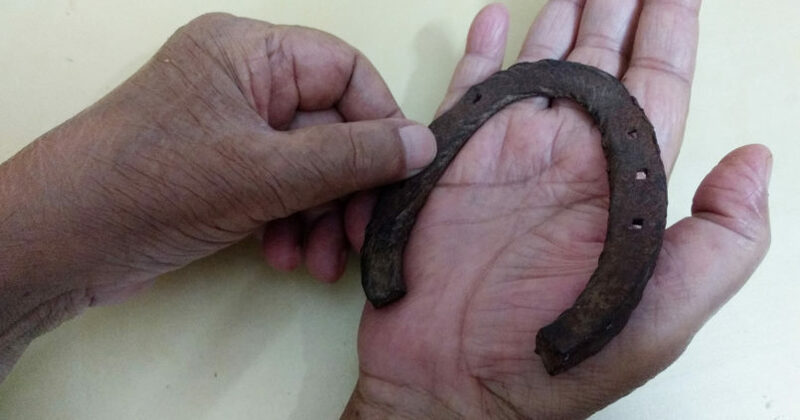 The horseshoe first belonged to Gajraj Singh Mahajan’s grandfather. Hakim Shah’s grandson was Rai Gopal Das- the first owner of the horse and the horseshoe. Gopal Das ji was born in Zafarwal, now in Pakistan. He worked for the Punjab Civil Services (PCS) as a “munsif” for the vast state of the Punjab. The ‘Punjab’ region at the time included a much larger part of the North-West Frontier than the present day Indian state. His work required travel to major cities including Pathankot and Karnal. Rai Sahab, the horseshoe’s owner and Sanchita’s great-great-grandfather. This was during the time that the British had already annexed the region. Serving as a bureaucrat at the time, he was awarded the honorary title- “Rai Sahab” by the British for his work. 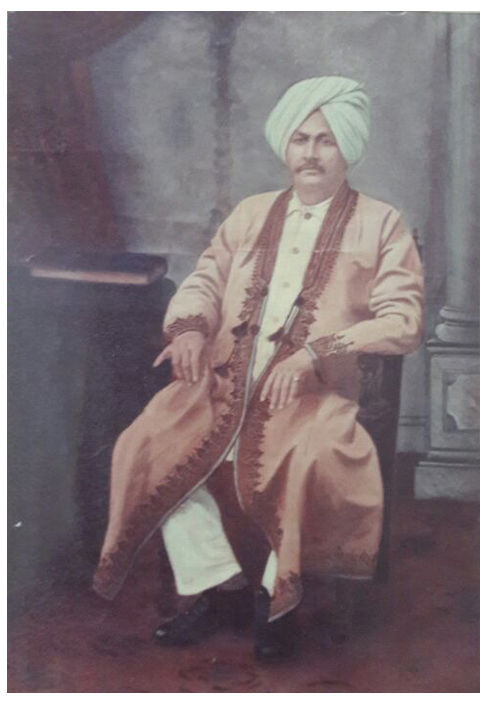 He was eventually stationed to Delhi as a city magistrate sometime before 1930. The horseshoe travelled with him to city. His office premises at Ajmeri Gate (old Delhi) was later turned into the Delhi College. Rai Gopal Das died in 1933 at Ajmeri Gate- three years before my Nanaji was born and where his family would thrive. Nanaji shared more tales of Rai Sahab’s wealth, glory and stature- and a picture where Raisahab is dressed in a full Kashmiri phiran with gold embroidery. The picture is of a full-size portrait commissioned by Raisahab from the royal artiste. The portrait lies in the loft of my uncle’s house but I’ve never seen it- I’m scared that if I ask to see it, it might disappear. The horseshoe either hangs on a wall int he family’s puja room or in Sanchita’s uncle’s old briefcase. 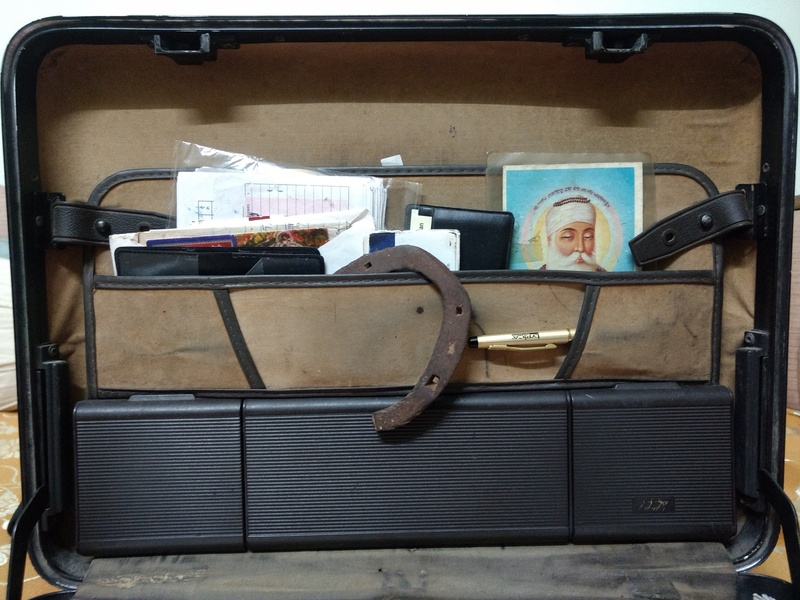 Today, the horseshoe either hangs on a wall in our puja room, or my uncle keeps it in his old briefcase. He says it brings him good luck. For the first time in my life, I wish to own something that doesn’t belong to me and make it a part of my story. I want to entwine my legacy with the horseshoe’s and leave it for the generations after me- for them to wonder and daydream about my present.